For BMW repair San Pablo residents trust, head just a few minutes south to Berkeley Motor Works. We specialize in BMW service and have also expanded to include additional types of European auto repair. Our shop is known throughout the area for our quality workmanship and our passion for BMWs. Bring your BMW or other European car to us and you’ll see firsthand why this is the case. Many of our clients started by bringing their vehicles in for regular BMW maintenance. When you drive a quality car like a BMW, it’s important to keep up-to-date on oil and filter changes, brake services, and other routine maintenance concerns. When your vehicle is regularly seen by our technicians, who have extensive experience working with BMWs, we’re also more likely to catch small problems with your vehicle before they balloon into larger repair issues. But if your BMW does need more extensive service, don’t worry: our shop is known for completing high-quality BMW repair work all through the San Pablo area. If you need transmission repair, belt replacement, or even an engine rebuild, don’t worry: our technicians have seen it all before and will be able to complete your repairs and get your BMW running in peak condition again ASAP. 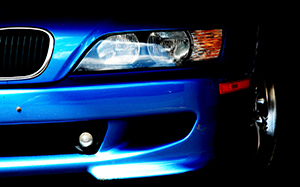 It’s easy to see why Berkeley Motor Works is known as the premiere BMW repair shop in the area by San Pablo residents. As previously mentioned, we do also complete European auto repair on other makes (Mercedes, Mini Cooper, and Porsche), although our hearts will always be with BMWs first. The next time your BMW needs service, don’t hesitate to bring it in. Give us a call to set up an appointment or discuss your vehicle’s needs with one of our BMW specialists, or use our online appointment request form. We look forward to working with you and your BMW!